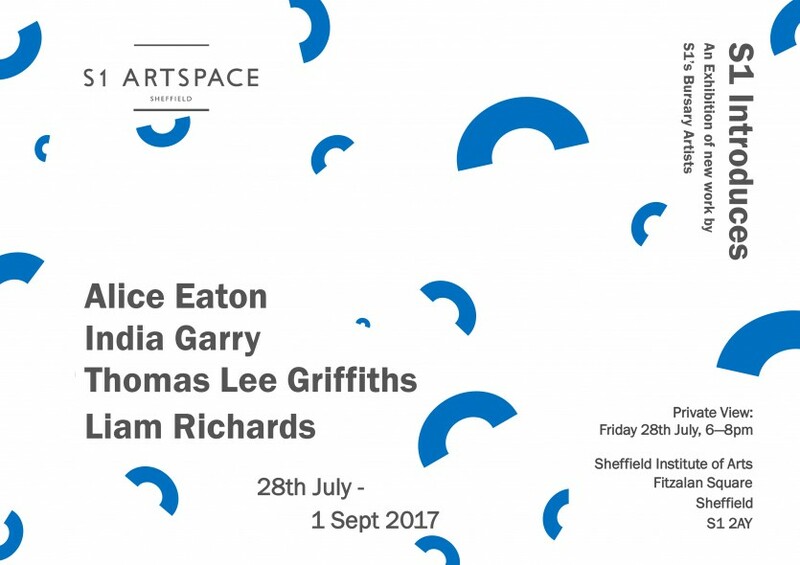 S1 Introduces presents new work by the 2016/17 S1 Bursary Holders, Alice Eaton, India Garry, Thomas Lee Griffiths, and Liam Richards. Four recent BA Fine Art graduates from Sheffield Hallam University who were selected to take part in this year’s bursary programme based on the strength and diversity of their individual practices. For the first time the exhibition will be presented at Sheffield Institute of Arts in the former post office’s grand hall. For the exhibition Liam Richards’ explores modern technology, the internet, and how these have impacted our lives. Thomas Lee Griffiths’ dysfunctional sculptural objects, incorporating casting and video question identity and the role of the archetypal male in society today. India Garry’s work lies in the fascination of human foibles and the surreal nature of the self-exposed through sleep. She combines moving image with clumsily made set pieces and a pound shop aesthetic. Alice Eaton’s work revolves around a discussion on natural environments, the habitats we share with other animals and our impact on them. Established in 2009, the S1 Bursary Programme supports fine art graduates from Sheffield Hallam University during a critical time of any artist’s career – the first year of professional practice following graduation. The programme provides a valuable opportunity for recent graduates to benefit from working within a professional artist studio complex through the provision of subsidised studio space, mentoring from S1’s alumni, and the opportunity to present new work in the concluding exhibition S1 Introduces.